This week, we’ll be on the other side of the globe, in Seoul, South Korea, to drive the all-new 2020 Hyundai Palisade during its global launch. When Hyundai pulled the drape off the Palisade at the Los Angeles Auto Show just two weeks ago, we couldn’t help but find it enormous. And with reason, as this is the largest vehicle ever sold by the Hyundai brand in our market. Also: 2020 Hyundai Palisade: This is It! Capable of seating up to eight passengers, the Palisade will be positioned above the Santa Fe and replace the Santa Fe XL within the Hyundai lineup. Inevitably, it aims at fulfilling the needs of midsize SUV buyers and will compete against vehicles such as the Honda Pilot, the Nissan Pathfinder, the Mazda CX-9, the Volkswagen Atlas, the Toyota Highlander, the Chevrolet Traverse and the Ford Explorer. As we’re writing this, nothing has yet been released regarding towing capacity or fuel economy, but Hyundai speaks of a 3.8-litre V6, an engine that has proven itself in the past within the Genesis lineup. For the Palisade, it’s good for 291 horsepower and 262 lb.-ft. of torque, mated to an eight-speed automatic. Front-wheel drive will come standard, while HTRAC all-wheel drive will come as an option. 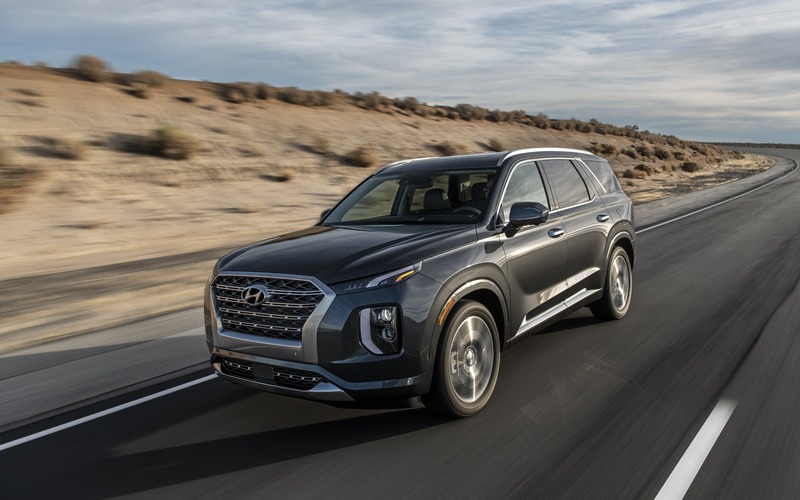 Hyundai not only promises a significantly larger SUV than the Santa Fe XL, but also a spacious and luxurious one, incorporating cool tech like a built-in intercom to speak to your kids, similar to what is found in the Honda Pilot. We’re definitely looking forward to take this one for a spin, but more importantly, find out more about its specifications, pricing and release date. Stay tuned for our first drive report live from Korea! Los Angeles 2020 Hyundai Palisade: This is It!